•	B. Sc. in Architecture/Architectural Engineering or equivalent. •	Minimum 15 years working experience in engineering firms (5 years as Design Project Manager). •	Grade A accreditation from the Engineer’s Accrediting and Classifying Committee of MMUP. •	Able to review tender requirements and contractual conditions, work schedules, resource planning, performance charts, project monitoring for resources load and productivity including proper coordination of drawings with all involved disciplines, financial concerns, quality control/quality assurance, documentation and reports. •	Responsible for the overall control and management of the Pre Contract Project Team and represents the main line of communication with the owner representative, authorities and municipalities. •	Must be dedicated, committed and willing to work under pressure to attain the contractual obligation of the project within the context of its contractual requirements, limitations and period of performance. •	Must be able to handle multiple projects and willing to work under pressure, possesses good management skill in completing projects within the required contractual period of performance. •	Good project management capabilities in controlling the production in relation to the estimated (Budget Man-hours) and estimated list of drawings. •	Good knowledge of prevailing standards and codes, planning and scheduling, contract management and mitigation, change management and project controls. •	Good technical abilities to review the technical integrity of the plans, details and specifications. B. Sc. in Mechanical Engineering from an accredited university with min. 15 years working experience in HVAC system design & supervision of various large scale projects such as towers, commercial bldgs., etc. UPDA, Qatar Registered Engineers are preferred. -	With very good experience in specifications, validation, evaluation and documentation of HVAC design. -	Familiar with international standards and codes (ASHRAE, SMACMA, ARI, ASTM, FM, ASME, etc.). -	Skilled in the use of computer software for design such as Carrier E-20II, HAP and other relevant programs. -	Proficient in AutoCAD and Revit (Mechanical) drafting. Strong communication and presentation skills. -	Able to monitor and inspect all HVAC site works, assuring compliance with the approved drawings and specifications. -	Able to review shop drawings and resolve any discrepancy and error. -	Check and approve material and drawing submittals. -	Good knowledge of international standards and codes. B. Sc. in Mechanical, Civil or Sanitary Engineering with min. 15 years working experience in Plumbing & Fire Protection system design & supervision (Fire Alarm, Sprinkler/Spray system, Foam, FM 200, Deluge, etc.). UPDA, Qatar Registered Engineers are preferred. -	With good experience in specifications, validation, evaluation and documentation of fire protection design. With good knowledge in fire protection standards and codes such as NFPA, IBC, etc. -	Able to use applicable software programs such as ELITE, 5NET, FIRELINK WLL, etc. -	Able to provide complete plumbing design and calculation for water supply distribution system, sanitary, storm and equipment sizes. -	Knowledge in medical gas system, compressed air vacuum and natural gas system including selecting, scheduling, sizing and specifying basic plumbing system components, to include plumbing drains and equipment. -	Proficient in the use of AutoCAD and Revit. -	Able to monitor and inspect all plumbing/Fire Fighting site works, assuring compliance with the approved drawings and specifications. -	Good knowledge in international standards and codes. •	Bachelors degree in Electrical Engineering from an accredited university plus registration to a recognized Professional Society. •	10-15 years of experience in pre and post contract works including electrical design and construction management. •	Grade A accreditation from the Engineer’s Accrediting and Classifying Committee of MMUP (A must for local Applicants). •	Preferably GSAS Certified Green Professional. •	Responsible for designing control circuitry, test electronic installed equipment, implement preventive maintenance procedures, manage engineering staff and supervise operations in the field and within the office, as well as monitor installations from concept design, development stage, testing and commissioning of new projects. •	Must have knowledge of Building Management System (BMS). Computer Maintenance Management System (CMMS) and operation of electronic engineering software and automation control system. •	Generally responsible for implementing and monitoring of all electrical related works at site. •	Prepare design calculation of all design works. •	B. Sc. in Architecture/Architectural Engineering and other relevant degrees. •	Minimum 5 years working experience in detailed architectural design presentation and 3D modeling for both Interior and Exterior designs. •	Good freehand sketching skill is a plus. •	Creative, artistic, adaptable, flexible and has a critical eye for details. •	Specialized in 3D visualization, creating Interior/Exterior Perspectives through 3D modeling and able to produce realistic architectural rendering work using 3Ds Max and Vray. The post production should come directly from Vray rendering. •	Good lighting and realistic physical material skills. •	Animation experience is an added advantage. •	B. Sc. in Civil Engineering / Structural Engineering, preferably with 10 - 15 years working experience in vertical and horizontal construction. •	Experienced in site supervision works for infrastructure, land developments, medium and high rise buildings. •	Knowledge in design of civil and structural works is an advantage. •	Able to ensure that all structural works are in compliance with the approved contract documents and specifications. •	Ability to review shop drawings and check material submittals and comment to resolve any discrepancy and error noted. •	With knowledge of international rules and regulations related to the field of discipline and familiar with the prevailing standards and codes. •	Gulf experience is preferred. •	Registered UPDA (Urban Planning and Development Authority, Qatar) Grade A Engineers are preferred. •	B. Sc. in Quantity Surveying. •	12 – 15 years work experience in all facets of QS works (Gulf and Local). •	With very good knowledge and experience with FIDIC. •	Extensive experience in the preparation of documentation and bills of quantities. •	With knowledge of local and international tendering procedures, forms of contracts, types of contracts, etc. •	Extensive experience in claims / arbitration procedures and methods, processing interim valuations, final accounts, preparation and evaluation of variation orders, etc. •	Previously worked with multi-national organization is preferred. •	With experience in large scale projects such as high rise buildings, commercial / residential complexes, airports, sports clubs and stadiums, housing projects, hospitals, etc. with minimum of US$ 30,000,000 worth of a project. •	Good communication skill in English both oral and written. •	Able to prepare budgetary estimates from design concepts, bill of quantities for all disciplines and cost estimates. Prepare cost planning, cost analysis, procurement analysis with cost projection as required. •	Assists and advises Project Managers on contractual claims, managing and administering and coordinating all types of construction projects. •	Preparation of tender documents, tender evaluations & reports, contract documentation. •	Evaluation of monthly applications for payments and prepares payment certificates. •	Assessing, evaluating and negotiating variation proposals and preparing variation orders, cost assessment of variation orders and handle contractual matters. •	Evaluation and making recommendation of Contractor’s claim for cost and time. •	Assist the PM in the approval of final accounts. •	Bachelors Degree in Engineering or Architecture from a recognized college or university with minimum 10 years working experience in planning/scheduling, project control, claim analysis and cost engineering. •	At least 5 years experience in using planning software packages such as Primavera P3, P5, P6 and MS Project. •	Able to prepare and check Master Construction Programme, review Contractors and Suppliers programme and modify when necessary. •	Able to prepare cost phasing and financial projection of projects, cash flow projections, analyzes and reports on cost variance including summary of any cost changes. •	Updates schedules affected by variations. •	Good communication skill both oral and written, with good report writing. •	Knowledge of project management. •	Preferably with PMP certification. •	Grade A accreditation from the Engineer’s Accrediting and Classifying Committee of MMUP (A must for local Applicants) •	With M. Sc. is a plus. •	Minimum of 10 – 15 years experience within the construction industry and where possible within an airport environment. •	APM / Prince 2 certification / Six Sigma or equivalent. •	Be able to manage Teams; facilitating commitment and productivity, removing obstacles, and motivating team members. •	Managing Expectations — aligning projects to business goals, managing stakeholders, and communicating project status, milestones, and unexpected difficulties effectively. •	Define the scope of the project in collaboration with the senior management. •	Create a detailed work plan which identifies and sequences the activities needed to successfully complete the project. •	Determine the resources (time, money, equipment, etc.) required to complete the project. •	Execute the project according to the project plan. •	Set up files to ensure that all project information is appropriately documented and secured. •	Establish a communication schedule to update stakeholders including appropriate staff in the organization on the progress of the project. •	Review the quality of works completed with the project team on a regular basis to ensure that it meets the project standards. •	In consultation with the appropriate manager, recruit, interview and select staff and/or volunteers with appropriate skills for the project activities. •	Monitor and approve all budgeted project expenditures. •	Monitor cash flow projections and report actual cash flow and variance to senior management on a regular basis (monthly/bimonthly). •	Mange all project funds according to established accounting policies and procedures. •	Prepare financial reports and supporting documentation for funders as outlined in funding agreements. B. Sc. in Electrical Engineering from a recognized college or university with min. 15 years extensive experience in Electrical Design and Supervision for large scale and prestigious projects. UPDA, Qatar Registered Engineers are preferred. -	Excellent in the design of LV, MV, HV, EHV and ELV networks including electrical sub-stations, design of underground utilities such as telecommunications network. -	For ELV, experienced in the design of ELV systems for industrial commercial and residential projects, design of Life Safety System, Security Systems, Industrial and Amp, Building Automation Systems, design of ICT Systems and Audio Video System. -	Proficient in using computer software applicable in the field of discipline including AutoCAD and Revit. -	Able to supervise various electrical installations (HV, LV, ELV…) including machines or equipment and ensure that all works conforms with the approved drawings and specifications and General Conditions of Contract. -	Knowledge in design is essential. -	Familiar with electrical international standards and codes. -	Able to check and evaluate shop drawings and resolve any discrepancy and error. •	B. Sc. in Mechanical Engineering with minimum 15 years extensive experience in mechanical designs involving HVAC, Plumbing and Fire Protection Systems. •	Familiar with the prevailing international standards and codes. •	Proficient in the use of applicable computer software and relevant programmes in design including AutoCAD, preferably Revit. •	Able to control and manage office team, organization and represents the main line of communication with others. •	To achieve department’s objectives through the pre-established organization policy and objectives. •	To ensure that technical issues and quality of works conforms to the Specifications and within time frame. •	To ensure that his staff is suitable qualified enough and experienced to undertake the work assigned to them. •	Extensive design experience for both vertical and horizontal projects. •	Familiar with electrical international standards and code. •	UPDA, Qatar registered Engineers are preferred. •	Bachelors degree in Mechanical Engineering from an accredited university plus registration to a recognized Professional Society. •	10-15 years demonstrable experience in the design and implementation of HVAC, Plumbing, Drainage, and Fire Fighting and Protection System. •	Carry out detailed design of various systems and facilities in accordance to the end-user requirement and international mechanical design codes and specifications. •	Prepare design calculation for all design works as required. •	Performs hands-on testing of HVAC, lighting and control systems in new and existing buildings. •	Prepare project brief, project timeline, scope of works & bill of quantities for projects and parts of projects. •	Design and specification of Fire and Life safety systems, requirements and codes as per NFPA 101 Fire & Life Safety and ICC Fire Code. •	With knowledge of international rules and regulations related to the field of discipline. •	Attending site inspections, site quality audit for verification of adherence to construction requirements and internationally accepted standards of construction. •	Preparation and implementation of the Handover process of the projects. •	Preparing tender technical reports. •	B. Sc. in Electrical Engineering with minimum 15 years extensive experience in electrical design for large scale and prestigious projects. •	Excellent in the design of LV, MV, HV, & ELV networks including electrical substations, design of underground utilities such as communications network. •	Proficient in using computer software applicable to the field of discipline including AutoCAD and Revit. •	PhD in relevant field is preferred. •	Master’s Degree / Bachelor’s Degree in the respective field with minimum 15 years working experience. •	Develop practical methods in controlling and managing the section. •	To implement and accomplish targets and objectives of the work force for the section by recruiting, training, assigning, mentoring and disciplining staff; planning, monitoring, evaluating and reviewing their work contributions; planning compensation actions and enforcing policies and procedures. •	To contribute information and recommends to strategic plans, implementing quality and clients’ requirements, solving problems, conducting audits and implementing change. •	To plan and organize projects by focusing on specifications, establishing, planning & scheduling activities, and integrating requirements with other disciplines and verifying standards and code requirements. •	To observe and maintain a safe and healthy environment particularly in the areas of responsibility. •	Participates in the accomplishment of project/s supervision works and resolving outstanding issues. •	B. Sc. in Landscape Architecture from a recognized college or university. •	Professional Licensure is a must. •	Minimum 7 years working experience in landscape design for large scale projects such as theme parks, gardens, land developments, residential subdivisions & complexes and other landscape projects. •	Familiar with the existing plants and vegetation in the region. •	Able to produce conceptual design through freehand sketches. •	B. Sc. in Mechanical Engineering, preferably with 5 - 8 years working experience. •	Experienced in site supervision works for HVAC, Plumbing, Fire Fighting, Sewerage, Drainage and Irrigation for large scale and multi-storey projects. •	Knowledge in design of mechanical works is an advantage. •	Able to ensure that all mechanical installations are in compliance with the approved contract documents and specifications. •	B. Sc. in Interior Design/Architecture/Architectural Engineering and other relevant degrees. •	Minimum 12 years of working experience in detailed interior design presentation and 3D modeling. •	Good experience in the arrangement of furniture, fixtures and equipment / space planning. •	With good experience in hotels and touristic projects. •	Good freehand sketching skill is a plus. •	Specialized in 3D visualization, creating Interior/Exterior Perspectives through 3D modeling and able to produce realistic architectural rendering work using 3Ds Max. •	Ability to meet deadlines. •	Able to supervise/monitor/inspection of ongoing interior works at site. •	Good command in English both oral and written. •	B. Sc. in Electrical Engineering with minimum 10 years extensive experience in electrical design for large scale and prestigious projects. •	Excellent in the design of LV, MV, HV, & EHV networks including electrical substations, design of underground utilities such as communications network. •	Possess a Bachelors Degree in Mechanical Engineering, Sanitary Engineering, Environmental Engineering or equivalent degree from an accredited university plus registration to a recognized Professional Society. •	Min. 15 years demonstrable experience in the design and implementation of plumbing and drainage installations with at least 5 years gained as designer of irrigation systems for landscaping works. •	Must be able to utilize any specific engineering and construction relevant software like AutoCAD, RainCAD, Pro Contractor Studio or any other irrigation design software. •	Must be fully conversant with the Qatar Construction Specifications (QCS) and have had practical experience with the design standards and specifications based on British and North American practices. •	Possess appropriate technical background and ability to control the Consultants, or the Contractor and Sub-contractor’s deliverables. •	Experience in Gulf Region for a min. of 5 years in similar position from a professional consultancy firm or established landscaping company. •	Possess a relevant Diploma or Bachelors Degree. •	Min. 7 years demonstrable experience in preparation of project presentations, project development brochures, animations and other presentation formats. •	Well versed in Photoshop, 3Ds Max, Sketch Up or any other Graphic Design Software. •	Proficient in operating Windows and Mac base equipment. •	B. Sc. in Architecture / Architectural Engineering, preferably with 10 - 15 years working experience in site supervision. •	Experienced in site supervision of various architectural works. •	Able to ensure that all architectural works are in compliance with the approved contract documents and specifications. B. Sc. in Architecture / Architectural Engineering with min. 15 years experience in design and site supervision. With sufficient knowledge in construction techniques and methods. UPDA, Qatar Registered Engineers are preferred. -	Excellent design and presentation skills and hand rendered sketching. -	Proficient in the use of applicable design software such as Revit, AutoCAD, 3Ds Max, Sketch Up, Photoshop, Vray, Maya, Rhino, etc. -	Creative, artistic, adaptable, flexible and has a critical eye for details. -	Specialized in 3D visualization, creating Interior/Exterior Perspectives through 3D modeling and able to produce realistic architectural rendering work using 3Ds Max and Vray. The post production should come directly from Vray rendering. -	Good lighting and realistic physical material skills. -	Animation experience is an added advantage . -	Ability to meet deadlines. -	Coordinate a team effort to complete a project promptly and successfully. -	Create designs to meet Client’s specifications. -	Create and propose budget and time estimation. -	Act as intermediary between Client & the team. -	Able to check and approve material and drawing submittals. -	Able to supervise, monitor and inspect various architectural works to ensure compliance with the approved drawings and specifications. -	Able to prepare and maintain up to date planning and progress schedules. B. Sc. in Civil/Structural Engineering with min. 10 years extensive experience in structural design of concrete and steel structures. 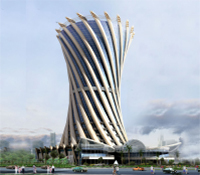 -	Proficient in the use if structural design programs such as ETABS, SAFE, PROKON, SAP, STAAD PRO, etc. including AutoCAD and Revit. -	Able to model and analyze structures. 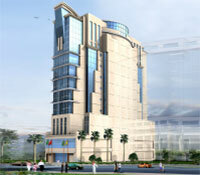 -	Good experience in large scale projects such as towers/high rise buildings, commercial, etc. -	Experienced in site supervision works for commercial, residential, industrial, educational and governmental buildings. -	Able to ensure that all civil/structural works are in compliance with the approved contract documents and specifications.